Here are a few favourite pieces of my yarn art. What have you made that brings joy to you? It was another slow month but a productive one! My Little Miss Sleepy Bunny was finished over our March Break and I have an order for two Sleepy Bunnies. These bunnies will have pink skirts. I wrote a post about Little Miss, you can find it HERE. I had to take a wee break before working on them because I’ve promised my hubby that I’d make a cushion cover for him. He was given a Christmas themed pillow which he loves but wants it more all season. I love the waffle stitch as anyone who’s read my posts over the past several months knows! I’m glad he does too because it’s such a relaxing pattern. I adore the Sleepy Bunny but she requires a tight stitch with a heavier yarn. My hands needed a break before continuing on with the pink skirted bunnies. I’d love to see what you’ve been up to in March. Please feel free to link here so we can see. Snipping the end bits from a yarn project is the longest part of a project. You can see the finish line but you’re oh-so-far from it. My Rainbow /Sherbert Blanket was one of my favourites, for many reasons, but mostly for the bright colours of the yarn. Even the bits that were snipped off and left in a pile were pretty. When I placed a glass cup coaster on top of one pile it caught my imagination. I do like how it’s out-of-focus, kind of dreamy, I can imagine what they yarn can turn into. 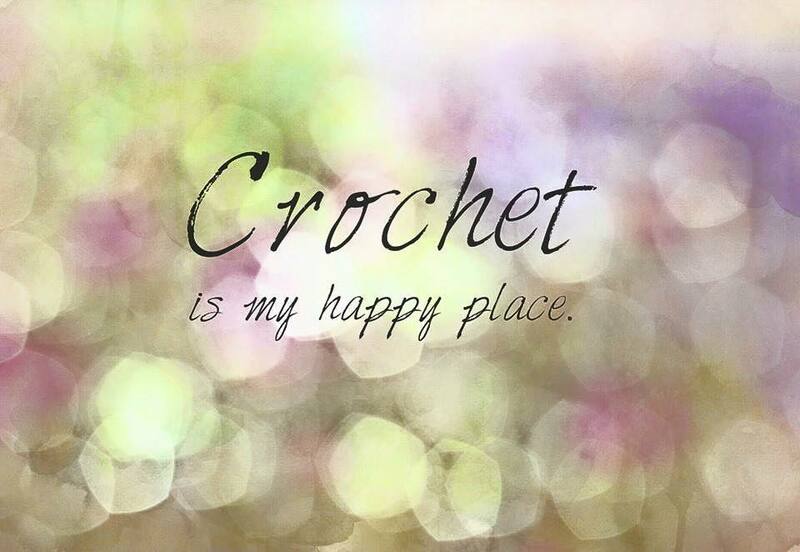 That’s my favourite thing about yarn…. the possibilities. A few balls of yarn and a spark of imagination and you could create anything! If we were having coffee this month I’d tell you about my big project and the thrill of how a ‘ new stitch’ worked. I’m enjoying an iced latte, since it’s been unseasonably warm. What can I pour for you? February was a mad rush to get my son’s blanket done before his birthday. I am pleased with how it looks. I didn’t think I’d be happy at all with the finished project. It looks good overall and to the non-yarn artist. My son likes it and that’s what’s important. Up close I see many spots where I made errors and while looking over the blanket I can see the ‘learning’ stages. I learned that a ball of yarn for each colour section makes a tidier blanket vs cutting (and leaving more tails!!) with the colour switches. I also learned that I shouldn’t cut tails late at night because I snipped a stitch or two and that’s a (&(%^ to fix. I had a wee bit of time to create something for me this month. I’ve seen earbuds decorated with crochet on Pinterest so I thought it would be a fun way to add to my new walking routine! What yarn art have you created this month?